Let your imagination conjure up an orchestra without rival for its instrumental virtuosity that also includes some of the finest musicians of the day, many of whom are composers. Contemporary composers who write music of unprecedented virtuosity for "their" ensemble and create their own variation of the concerto form, the "concerto per molti strumenti" as Chamber concerti, Sonatas for up to ten soloists, Solo Concerti for up to five soloists and gigantic Concert Suites with different soloists in each movement. An orchestra that, due to its excellence also inspires the most celebrated composers of the day to compose highly virtuosic works. Such was the Dresden Hofkapelle, particularly during the reign of Augustus the Strong and his son and successor, when the Saxon Kurhut and the Polish crown were united. Whilst we regrettably cannot go back in time to hear their performances we can listen or perform an ever increasing volume of recorded and printed music that either originated at Dresden or was inspired by it. 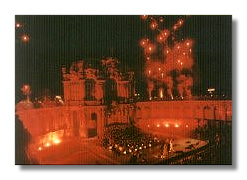 Surely this increased awareness of the unique nature of music making at Dresden when so many fine composers were associated with the court is undoubtedly deserved in terms of the quality of the music. Unquestionably this repertoire forces us to reassess our understanding of the German Baroque in the early 18th century, particularly concerning the relationships between the composers who enjoy wide appreciation today i.e. Johann Sebastian Bach, Georg Philipp Telemann and Antonio Vivaldi and their contemporaries, many of whom were regarded more highly in their day. The immense effort that has gone into illuminating every corner of J.S. Bach's life and work has surely cast a shadow over many of his contemporaries. We have many musicologists, editors and performers to thank for attempting to bring this music that has been unheard for too long to a wider audience. Two musicologists in particular, Dr. Ortrun Landmann and Dr. Wolfgang Reich of the Sächsische Landesbibliothek (Saxon Court Library) deserve special mention for disseminating information, despite often difficult circumstances, about the 'treasure trove' of music contained within it. Additionally this repertoire produces particular problems for editors and performers such as Reinhard Goebel who have painstakingly reconstructed this music for our listening pleasure. It is tempting to think this music as being protected by St. Cecilia herself! 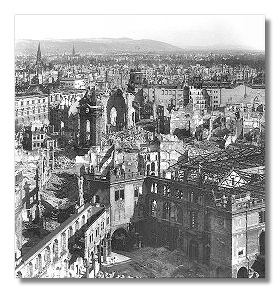 Despite the Prussian bombardment in 1760, negligence in the sale of "duplicates" which resulted in significant losses and the even greater bombing of Dresden by the Allies in the Second World War and subsequent transportation to Moscow following the war this music still survives in impressive quantities. 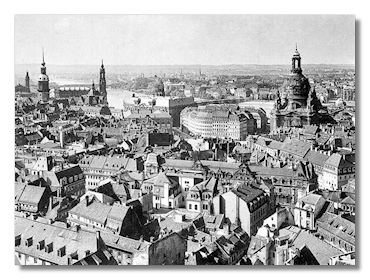 To find out more about the musical life of Dresden today visit the Dresden homepage or the Dresden Music Festival website. Comments are Welcome: As the primary object of this contribution to Classical Net was to stimulate interest in a group of unjustly ' neglected ' composers to the extent that the reader will want to explore their music by purchasing CD's, perform their music or attend concerts I would appreciate any comments, suggestions or additional information!